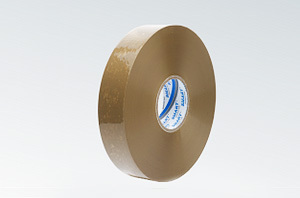 Self-adhesive tape with polypropylene carrier and type synthetic glue Hot Melt meets all the requirements of the users. Its ability to rapidly bind to the surface of the adherent is used mainly in the method of automatic packaging. Good tack and high adhesion is the qualities which made ​​this tape in the packaging is suitable for all applications.